We deal with each situation on a case-by-case basis. We don’t offer all-in-one home buying solutions. We will analyze your situation and work with you for an easy custom solution for you. Below is a quick collection of some of the common questions we get… with our answers next to them. If you still have a question don’t hesitate to shoot us an email through our contact page (or give us a call). A: Great question. We’re not agents, and we don’t list houses. We Buy Houses in Dallas that fit our buying criteria. From there we may repair the house and resell it to another home owner or keep it as a rental ourselves. We Buy Houses in Dallas that fit our buying criteria. From there we may repair the house and resell it to another home owner or keep it as a rental ourselves. Q: Will I have to pay any fees or commissions to work with you? Q: Is there any obligation when I submit my information? A: No obligation at all. Once you tell us a bit about your Louisville property, we’ll take a look at things, maybe set up a call with you to find out a bit more, and make you an all-cash offer thats fair for you and fair for us. From there, it’s 100% your decision on whether or not you’d like to sell your Pittsburgh house to us… and we won’t hassle you, won’t harass you… it’s 100% your decision and we’ll let decide what’s right for you. Q: I have no money. Will I have to pay closing costs? A: In most cases, we can handle all of the closing costs. Q: I’m facing foreclosure. Can you help me? 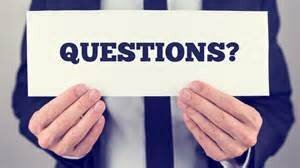 A: As professional real estate investors, we understand the foreclosure process. You have a lot of options and we can discuss those with you at no cost to you. If for some reason we can’t buy your house, which will stop the foreclosure process immediately, we can refer you to foreclosure prevention specialists. Q: What will happen if I lose my house in foreclosure? A: The foreclosure will stay on your credit report for at least 7 years and ruin your credit for years. Time is of the essence so you must take IMMEDIATE action NOW to prevent your house from going into foreclosure. Q: My house needs repairs, can you still buy it? A: Yes, we can purchase your house in its present condition and handle all of the repairs ourselves. Q: How quickly can you close? ? A: We can typically pay cash and close in as little as 48 hours. But we are very flexible and can structure the closing that works best for you.